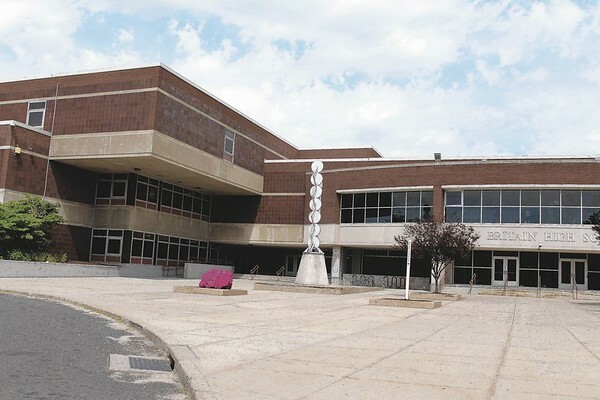 NEW BRITAIN – With a newfound emphasis on science, technology, engineering and math in city schools this year, the district is currently designing a model for a new STEM-related academy at the high school. The Board of Education was pitched a blueprint for NBHS’s future Manufacturing, Engineering and Technology Academy at its meeting Monday night by the school district’s Coordinator of Partnership & Engagement Sondra Sanford and Elayna Roberts, a training & development coordinator at OKAY Industries. As indicated by the name, the MET Academy would focus on building and training a workforce geared towards manufacturing and engineering fields. The goal of the academy is to develop a skilled talent pipeline to support the current and future workforce needs in the city and the surrounding area. Many manufacturing and engineering fields are currently experiencing a skills gap in the state: according to recent data from the National Association of Manufacturers, there are more than 13,000 open manufacturing jobs in Connecticut. Sanford said, among other things, that the academy will give students a chance to complete pre-apprentice and apprenticeship programs while still in high school. Several manufacturers in the area, like OKAY Industries, have partnered with the school district for the new academy. Funding needed for the academy is about $1 million, but the district’s community and professional partners are hoping to raise close to $800,000 for the academy with a fundraising event in the future. The budget would pay for manufacturing equipment, 3D printers and other things needed for the curriculum. Sanford is hoping to have at least 25 graduates in the MET Academy per year. During Monday’s Board of Education meeting, the board approved a purchase order of $20,500 to go towards the academy’s on-site manufacturing lab. Several board members were impressed with Roberts and Sanford’s presentation. “For me this is a no-brainer, and this comes from someone who would not have graduated high school if not for the vocational programs that we had,” said Jim Sanders Jr.
Board member Catherine Cheney agreed that career pathways are changing. Her son attended college only to come back and work at a local manufacturer, a job he loves now. “There’s many different things you can do in manufacturing,” Cheney said. School district administrators began the process of creating the new academy last year, establishing an advisory board with professional manufacturers and experts in the field. The MET Academy will join NBHS’s two other academies: the Academy of Finance and Academy of Healthcare Professionals. Posted in New Britain Herald, New Britain on Tuesday, 5 February 2019 20:10. Updated: Tuesday, 5 February 2019 20:12.